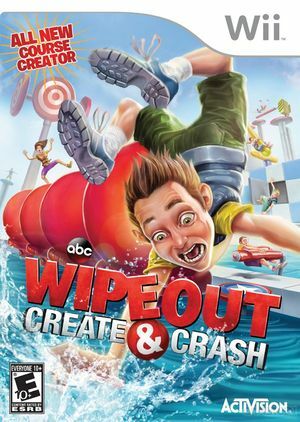 Based on ABC's popular TV game show, Wipeout: Create & Crash gives players greater control as they test their agility, endurance and abilities. For the first time ever, players can design, play, and share their very own chaotic courses with the all new Course Creator. Choose from easy, medium or hard obstacles and try to beat your course, and then share the unique code with your friends and family! In addition, compete as either fan-favorite or all-new characters in over-the-top new courses like Prehistoric Panic and Wipeouts Ahoy with all new themed obstacles. You can also challenge your friends to reign supreme in side-by-side or team local multiplayer. The graph below charts the compatibility with Wipeout: Create & Crash since Dolphin's 2.0 release, listing revisions only where a compatibility change occurred. This page was last edited on 13 January 2018, at 16:00.